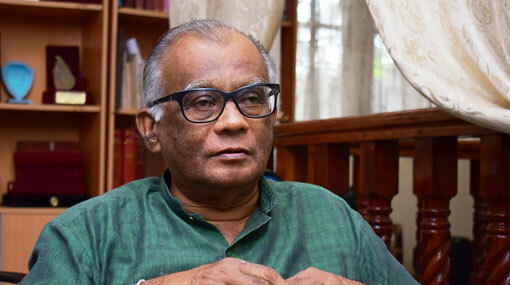 Veteran teledrama, film script writer, novelist and journalist, Somaweera Senanayake has passed away at the age of 74, today (09). He has been receiving treatment at a private hospital in Colombo when he passed away, according to the relatives. Born in Avissawella, he stated his career as a journalist in the Lake House, after graduating from the Vidyodaya University. He has authored many books including collections of short stories and children’s books since 1969. As a scriptwriter, he has contributed towards teledramas such as ‘Du Daruwo’, ‘Kande Gedara’, ‘Charitha Thunak’ and ‘Sitha Niwana Katha’. He has also worked as scriptwriter for movies such as ‘Mihidum Sihina’, ‘Aradana’ and ‘Ammawarune’.